Remember the fun of making a wish list for the holidays when you were a kid? Creating your wedding registry is just like that, but better because you're an adult now and you're not asking for Moon Shoes that you'll get bored with after a week. Compiling your wedding registry is so much fun, but you may not realize that there’s an added bonus: registry completion discounts. These discounts are pretty amazing, but only available to those smart enough to take advantage of them. Ready to learn more about registry completion discounts? Here’s the scoop. What are registry completion discounts? 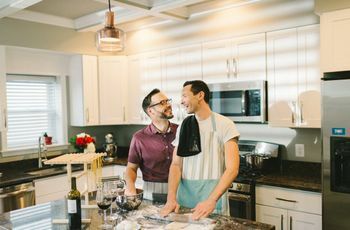 They're added bonuses provided by stores and websites that give you a big discount to buy all of the items on your registry that your guests didn't get for you. For example, Amazon offers 20 percent off anything left on your registry after your wedding (assuming you're a Prime member). You have 90 days after the date of your wedding to finish off the list and you're not obligated to buy everything, so you can pick and choose the things you really want. If you're not a Prime member, the discount drops to 10 percent off, but that's still a pretty sweet deal just for getting married. 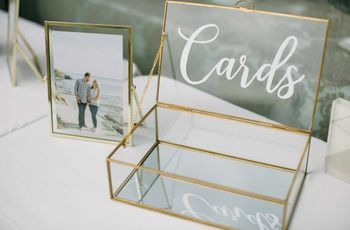 Stores like Target, West Elm, Crate & Barrel, and Macy's plus online services like Amazon all offer bonuses for buying things off your registry after the wedding. First identify the stores that you want to register with and then double-check to see if they offer a registry completion discount. This totally depends on the store. Macy's leads the pack with 20 percent plus an additional savings on mattresses, furniture, and rugs. Amazon is really generous with their 20 percent discount. 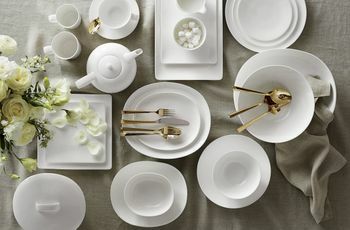 Target and West Elm both offer 15 percent off the remainder of your registry and there are a number of stores that provide a 10 percent discount, too. What do you need to do to take advantage of registry completion discounts? The tricky part of these discounts is remembering to take advantage of them. 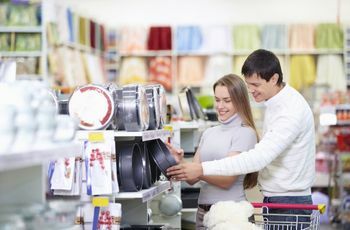 The stores generally aren't going to remind you, so you have to keep track of which registries offer the discounts and, more importantly, when the discounts expire. For the most part, you'll have between three and six months after the date of your wedding to cash in on these bonuses. That should be plenty of time to take stock of what gifts you got at the wedding and what you still really need. Most stores will provide you with an online coupon code that you can use, but others provide a printed coupon. More often than not, you can only use the code once. Make sure to take a look at the restrictions ahead of time so you know what you're dealing with. 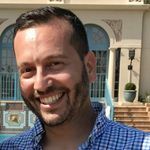 How do I maximize the benefits of the registry completion discount? While the stores are being extremely generous to extend a discount to you based on your new marital status, there are still a few things you can do to really max out the completion discounts. First, don't be shy about adding things you may want but feel like they're too expensive. It's unlikely that anyone will buy you a brand new couch for your wedding, but that doesn't mean you won't consider buying it for yourself at a 15 percent off discount after all those cash gifts come in. The same logic goes for boring things. There's a tendency to only want to put “fun” gifts on your registry because you start to wonder if anyone will really want to buy you a case of toothpaste. If you know you'll need toothpaste, though, put it on the registry. You'll either get it as a gift (which, admittedly, would be pretty weird) or, more likely, it'll go unpurchased and then you'll get to buy it at a discount. Like the wedding itself, getting the most out of your completion bonus is about planning for the future. It may be best to think of registry completion discounts as an after-wedding gift to yourself. As an added bonus, if you're planning to add new members to your family after the wedding, you can do it all again with a baby registry. So make sure to set a reminder about the completion bonuses for after your wedding because you don't want to leave money on the table.